Gadgets and technology help us in doing nearly everything better and staying fit is no exception. If you’re a fitness buff or heading towards the path of getting into shape, a fitness tracker will track your progress. These wrist-worn devices can track the human body’s vital signs like heart rate, step count, calories burnt and activity. Consequently, this data helps us to create personalized fitness goals and diet plans. Hence, leading to a healthier lifestyle. As there are a number of fitness trackers available in the market, you may be in dilemma to make a choice among them. 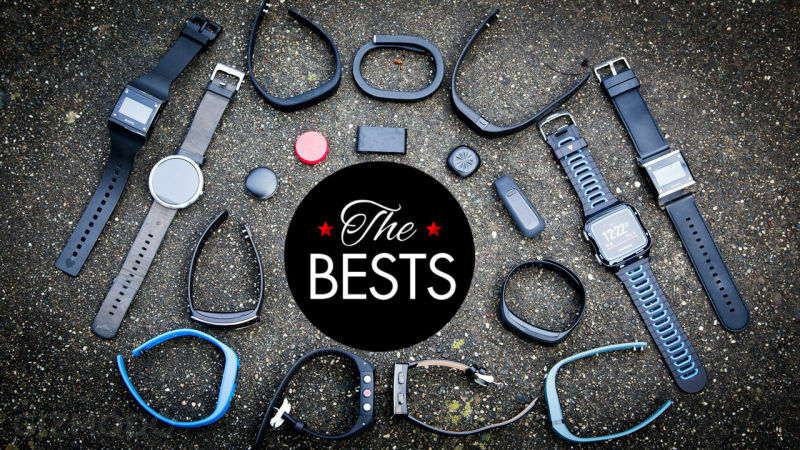 Well, this article will clear all your doubts by providing all the necessary details regarding the best fitness trackers. It’s no doubt that inactivity can lead to a number of health and personal issues. It may include weight gain, the onset of chronic and acute illness and even low productivity in school, work and daily life. Conversely, a constant activity can prevent and may even reverse many of these issues. It’s very simple to understand the importance of fitness. Feel the difference after working out or after a session of yoga. You shall feel rejuvenated and energized throughout the day. Contrary to this, if your lifestyle is sedentary and lethargic, you will feel tired and sluggish the entire day. A regular fitness regime helps in improving the overall health of an individual. The good effects are gradually evident on indulging yourself in regular exercise. A brisk walk for half an hour and freehand exercise can keep you fit. It enhances blood circulation and improves immunity as well. Certainly, the fitness tracker plays a major role in keeping track of your progress. Hence we are suggesting to you one of the best fitness trackers. So enjoy shopping the best fitness trackers in the market below, and find the device that best matches your needs. A year after launching the Mi Band 2 in the country, Xiaomi launched the Mi Band HRX Edition in India in partnership with HRX by Hrithik Roshan back in September,2017. This has the same OLED display and a similar design, but doesn’t have a heart rate sensor.At a price tag of Rs. 1299, the Mi Band HRX edition is one of the best and the most affordable fitness trackers you can get in the market. It has the best battery life and a compact, light-weight design. If you don’t want to spend much in a costly fitness tracker with a bulky design, the Mi Band HRX edition is a good choice among those. The Lenovo HW01 smartband has several impressive features, good display screen, light weight and comfortable to wear. Good health and fitness options and a good support app, although it is far from perfect. It is not a fully featured band and its features are limited, but this band got a lot of potential, it has already a good app, the band is also good with just few issues. So far positive features of the band outweighs the negative, making the band a must have for those looking for an affordable fitness band. Fastrack is a well-known brand in India, owned by watchmaker Titan.The Fastrack Reflex is the company's first attempt at an affordable activity tracker for India.The Fastrack Reflex is a fairly accurate activity tracker.The Reflex has a core unit that fits into the silicon band which comes in dual colours. The core unit of the Reflex has a OLED display that is bright and clear enough. There is a capacitive touch control on the left side of the device that lets you navigate through the display. The sunlight visibility of the display is also good. Honor 3 has simplistic design but makes a real statement when you’re out on the track. Honor Band 3 is available in three different colours but with a common one-size for all strap. It is also water resistant up to 50 metres, making it ideal for swimmers who want to complete a few laps in the pool. Band 3 also features Bluetooth 4.2, a 0.9-inch display, a heart rate sensor and a built gyroscope to track your movements.Apart from these regular set of features, the Honor Band 3 is capable of showing notifications of calls and various third-party apps. It can also be used as an alarm clock. Add to that the ability to send reminders after an hour of inactivity. The Samsung Gear Fit2 Pro is one of the most impressive-looking smart fitness bands around. A bright, shiny and colourful curved OLED screen is worth showing off. Our Top 5 Picks - The Best Selling Air Fryers In India.